A second patient has attained sustained remission of HIV after cessation of treatment. The risk for stroke is significantly increased after the appearance of shingles, despite adequate antiviral therapy and administration of the shingles vaccine. A freeze-dried, temperature-stable, experimental tuberculosis vaccine candidate has entered a phase 1 human clinical trial. Screening the donated blood supply for Zika virus is only cost-effective during the high mosquito season in Puerto Rico, but not in the United States. The Advisory Committee on Immunization Practices Hepatitis Vaccines Work Group updated recommendations for the use of hepatitis A vaccine for PEP and PrEP. Prophylactic antibiotic prescriptions before dental procedures may not be limited to indicated cardiac diagnoses, as per present guidelines, according to a study presented at IDWeek 2018 in San Francisco. 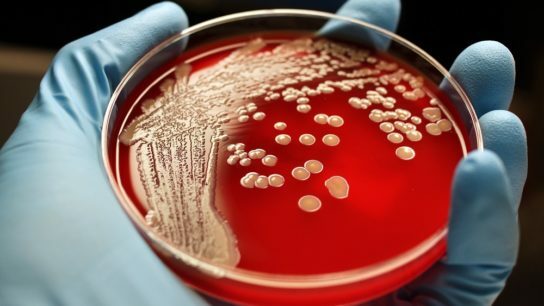 The combination of daptomycin with fosfomycin demonstrates increased efficacy in treating methicillin-resistant Staphylococcus aureus bacteremia compared with daptomycin alone. A combination single tablet once-a-day regimen of doravirine/lamivudine/tenofovir disoproxil fumarate demonstrated non-inferiority and no significant adverse events when compared with continuation of established antiretroviral therapy in adults infected with HIV-1. San Francisco takes center stage in the world of infectious diseases from October 3 to 7, as the Moscone Centre hosts IDWeek 2018.